It could be a very frustrating situation when your vehicle won’t start or ,the key won’t turn the Car ignition switch even after trying manipulating it few times you should first check your battery to ensure that it’s charged and determine whether or not your vehicle’s transmission cable is operational. Once any problems with these two parts have been ruled out, one of the only other parts that could be malfunctioning is your car’s ignition switch. If you are not sure that you can fix the ignition switch yourself than DO NOT try ! it can only make matter more difficult ,let us send a professional automotive locksmith to diagnose the problem. Auto key Masters will send a trained locksmith to your location in order to perform an inspection and determine whether or not the car’s ignition switch has a problem .by doing so the locksmith will also determine whether your ignition switch is repairable or you must change the ignition switch . The switch is connected by several wires to the car’s main electrical system, so a locksmith can connect a sensor to the wires to determine the amount of electricity that is being sent by the switch. If the ignition switch has indeed failed to operate, a professional locksmith can install a new switch. 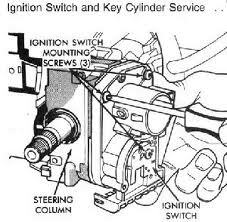 .When replacing an ignition switch you will need to take off the steering cover, pin etc. which is very sensitive work and must be done correctly and professionally . We at AKM Auto Key Masters guarantee our work as automotive locksmiths our mission is to send you on your way safe with a new ignition switch installed. Most makes and models need a specific type of switch that has been designed to operate in a certain vehicle, and for this reason, when you call a locksmith you should always tell the technician the make and model of your car or truck. When you are rushed to work in the morning or rushed back home after work than you realize that your car wont start and the switch wont turn ,it could be an unpleasant, stressful situation. At AKM Auto Key Masters we offer 24/7 emergency services. In Rock Hill /Fort Mill and surroundings We will dispatch a locksmith to arrive on site and repair or replace your ignition in a timely manner . NOTE :The technician will usually establish contact by sending you a text message or calling you in order to give you an ETA-estimated arrival , that is far less than the maximum allotted arrival time.